Let These Stories Serve You as Source of Motivation! Everyone, at some point in their lives, will feel overwhelmed by the challenges and obstacles that have to face daily. In times of difficulty and depression, we often look around to find a source of inspiration and to give us a ray of hope. This book contains the stories of 10 famous people whose lives were tried and challenged. Like most, they felt unbearable pressure and difficulties. They, however, devised ways to make it out of their hellhole and succeed in their own fields. 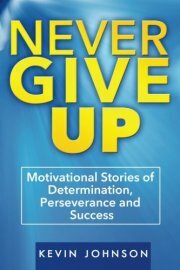 Each person can find an account that he or she can relate to in this collection of motivational stories. Oprah Winfrey’s rags to riches story, Eminem’s abuse of drugs and alcohol and Abraham Lincoln’s dream for his country are only a few of society’s successes we recognize. Each individual featured in this book encountered a difficult passage but, nonetheless, made it through. These stories are bound to be examples and serve as sources of motivation for those who are in need. We must learn to see that life’s trials are nothing but passing circumstances and that something can be done to overcome them. 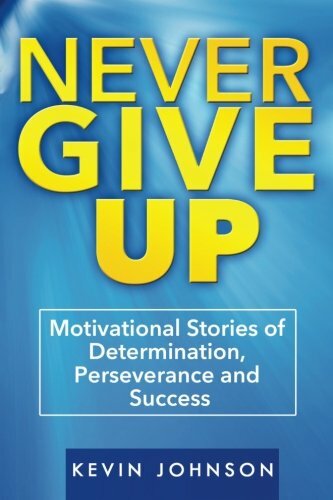 Here Is A Preview Of People Whose Stories We’ll Cover In This Book… *)Sylvester Stallone *)Soichiro Honda *)Joanne Rowling *)Michael Jordan *)Oprah Winfrey *)Marshall Mathers *)Arnold Schwarzenegger *)Phil Ivey *)Anthony Robbins *)Abraham Lincoln See You Inside!